Smriti Mandhana has played for the Hobart Hurricanes in the Women's Big Bash League. From the time of its commencement in 2008, IPL has been deemed a supremely successful league that amalgamates cricket with entertainment. Over the years, the tournament has proliferated into a perfect platform for uncapped young Indian players to showcase their talents and mature as cricketers. It has also made the game more commercial, thereby turning out to be a profitable venture for the BCCI. The success of the IPL has, therefore, ignited a call for a similar league for Indian women to help the growth of their cricket. The BCCI, however, is yet to be impressed. On the other hand, a few countries around the world have proven the practicability of Women’s T20 league. Cricket Australia and ECB can be considered as pioneers. The Women’s Big Bash League and the Kia Super League are tournaments that see local and international players share dressing rooms. While India’s Smriti Mandhana has been a part of the Brisbane Heat and Hobart Hurricanes, Harmanpreet Kaur has represented Sydney Thunder. Ms. Kaur has also constantly featured in the Kia Super League. The experience and exposure of playing alongside successful international cricketers has aided Indian players immensely. It can be noted that Ms.Madhana had credited the opportunity of playing in Australia for the improvement in her game. The nonexistence of Women IPL is thus, puzzling. The lack of an IPL-like tournament for women in India was attributed to the absence of sustained economic growth. Apart from being played to near empty galleries, women’s matches had recorded poor television ratings. These had, in turn, discouraged sponsors and advertisers from investing in the game, which were unfavorable to the formation of women’s league. Additionally, the dearth in the pool of quality women cricketers had crippled BCCI from proposing women’s IPL. However, certain major amicable administrative changes had resulted in a rapid escalation in the popularity of women’s cricket. These changes and its resultant effects had highlighted the feasibility of IPL for women. As one of the first steps, ICC had announced that the Women WT20 2018 would be telecast world over. Additionally, measures were taken to live stream the matches to tap global viewers. Subsequently, ICC went on to report that the television viewership ratings for the tournament were colossal. More specifically, with India reaching the semi-finals of the tournament, ratings in the subcontinent were said to have recorded a fivefold increase. The team’s impressive performance in the World Cup and the consequent media attention had encouraged the BCCI to increase the annual contract fee of the girls. The success also drew advertisers and sponsors to the women’s game. 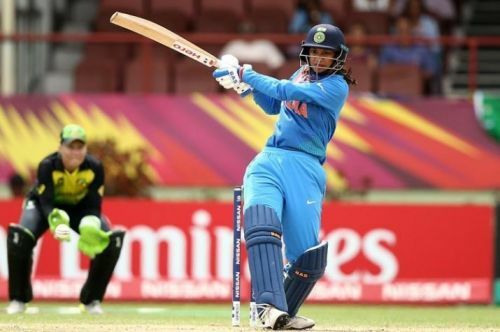 Smriti Mandhana, Punam Raut and Harmanpreet Kaur had earned their well-deserved bat sponsors. Also, a few girls went on to feature in brand advertisements. Being encouraged by the constructive changes, BCCI had announced a one-off Women T20 challenge ahead of last year’s IPL qualifiers. The two teams IPL trailblazers and IPL supernovas, led by Smriti Mandhana and Harmanpreet Kaur respectively, saw a host of international players from across the globe as members. The game had turned out to be a humdinger with the supernovas registering a three-wicket win off the last ball of the match. The one-off match had created much buzz on social media and had exposed the raising interest among the public for Women’s IPL. Furthermore, the match had seen the team captains Smriti and Harmanpreet express their desire for Women’s IPL. The players were of the opinion that having an IPL-like league would help to develop India’s bench strength. Therefore to reiterate, with successful women T20 leagues around the globe acting as predecessors, time is probably right for BCCI to start Women’s IPL. Moreover, consistent on-field performances coupled with augmented viewership and sponsorship lend themselves perfectly to the initiation of women’s league. Establishing women’s IPL and having international players represent the teams will aid the growth of women cricket, both in terms of drawing a global audience and for stepping up the overall quality of the game. Follow Sportskeeda for all the updates on IPL live score, purple cap, points table, schedule, news, orange cap and fantasy tips. ICC Women's World Twenty20 - Where does Team India stand?